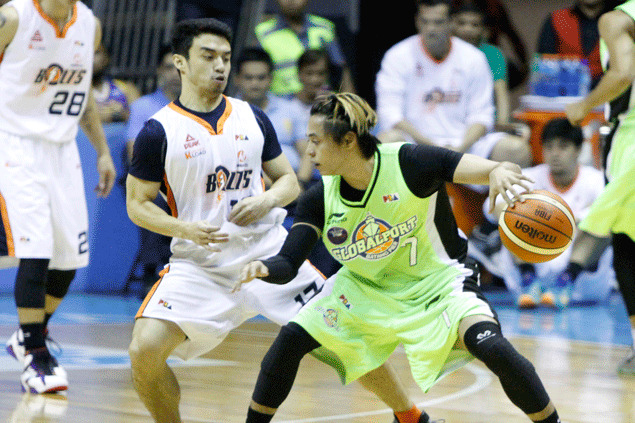 ANJO Caram underscored his value to Meralco on Sunday when he shadowed the high-scroing Terrence Romeo in the team’s win over Globalport in the PBA Commissioner’s Cup. The pint-sized playmaker stood tall on defense as he pestered the Batang Pier star, who finished with a conference-low 18 points after missing 10 of his 14 shots. “Hopefully napahirapan ko siya kahit papaano,” he added. Bolts coach Norman Black certainly thinks so. Caram also delivered on offense with a couple of crucial jumpers down the stretch that kept the Batang Pier at bay. “Siguro, ready lang ako kasi alam naman natin na dino-double team nila si Arinze (Onuaku) eh, so may mali-libre talaga,” said the former San Beda point guard, who finished with eight points on 4-of-5 shooting and two steals in 17 minutes. Black likewise lauded rookie point guard Baser Amer for showing maturity.